Samantha is the author of an exciting mystery and adventure series featuring a dragon with a thirst for adventure called Speare Morgan. IT was the late iconic American writer Robin Moore who averred: “Inside each of us is a natural-born storyteller, waiting to be released.” For Samantha Manonmani, her release came at the heels of a tragedy – the death of her beloved brother, Paul. “Death changes you,” recalls Samantha softly. Time stops for a bit when someone dies and it held true for Samantha as she wondered whether she was on the right path or living her life in a meaningful way. “I started working on my books back in 2008. Originally, it was written for my late brother who was born in 1964 – the year of the dragon. That’s why the protagonist of my series is a dragon!” shares Samantha, smiling. Unfortunately, Paul passed away a few months after the first draft was completed in late June 2009. “He never got to read my book,” she adds, her voice low. After a few months of uncertainty and dealing with grief, she decided to continue writing and working on her story. “It was just the therapy I needed to keep me focused,” she confesses softly. 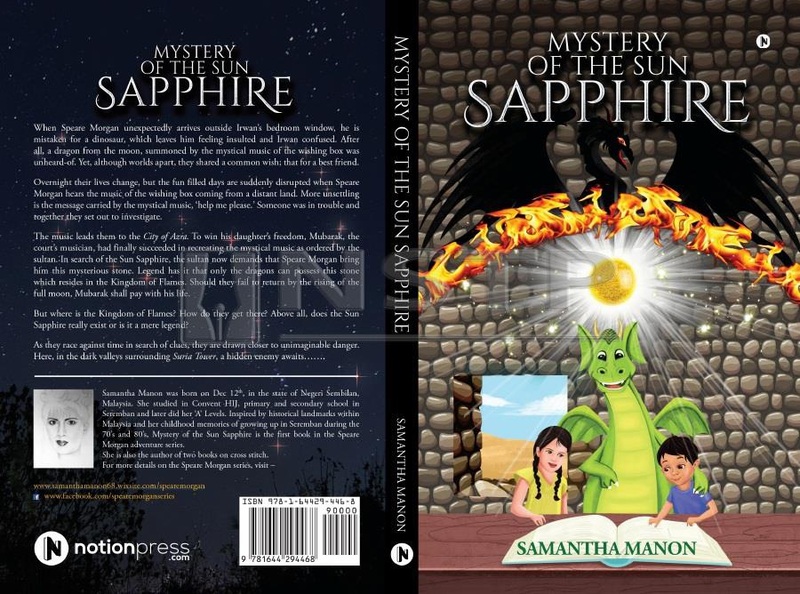 Mystery of the Sun Sapphire was the first book in Samantha’s Speare Morgan series. Her resilience paid off; Samantha is the author of an exciting mystery and adventure series featuring a dragon with a thirst for adventure called Speare Morgan. The first book of the series, Mystery Of The Sun Sapphire was released last year while the second book, Mystery Of The Abandoned Castle is due for release in early March. The third book, The Mysterious Penglipur Lara will be out in the following year. Samantha has also been signed up by Prodigy Gold Books, a US-based publisher and her books will soon be released in the States sometime next month. “I never dreamt I’d be a writer,” confesses Samantha, adding that she never thought she possessed any stand-out talents or skills, “…so I just focused on working!” She never had the time, she admits, with the demanding schedule and crazy work volume. “The frenetic work pace was something I got used to since I joined as an executive in a pharmacy back in the early 1990s,” recounts Samantha. The hours were long, she confides, and she had little time to do much else. But that soon changed. “I had just began working with a new company and for the first time ever, I had my weekends off. I didn’t quite know what to do with all that free time, and so I thought I’d write. I wanted to give my elder brother Paul a gift and thought a book would be brilliant,” she recalls. Write a book? That’s how you wanted to spend your free time? She laughs at my incredulous face. “Well, my first attempt at writing was rubbish!” insists the self-deprecating author with a grin. She sat down and harnessed her imagination to create a world where dragons take flight and children go on magical adventures in strange lands. In 2017, Samantha made that decision to self-publish, deciding that it would be an investment in herself as she built a platform to introduce her series. “The single highest cost,” she points out, “was on editing. My advice to budding writers? Go with a professional editing house. It will save you a lot of headache and grief!” She admits her original plot had changed to as much as 60 per cent, amidst all the rewrites. Finally, after 10 years and many rewrites and revisions later, the Mystery Of The Sun Sapphire was published in April last year. The first of the Speare Morgan series wasn’t quite Samantha’s debut as an author. “I’ve published before!” she shares, smiling. And again, it wasn’t planned at all. “I was in a store buying a cross-stitch set to sew as a hobby. Looking at the displays on sale, I realised that this was something I could do. I could attempt to create my own patterns – and much better ones at that –for cross-stitching!” she recalls. 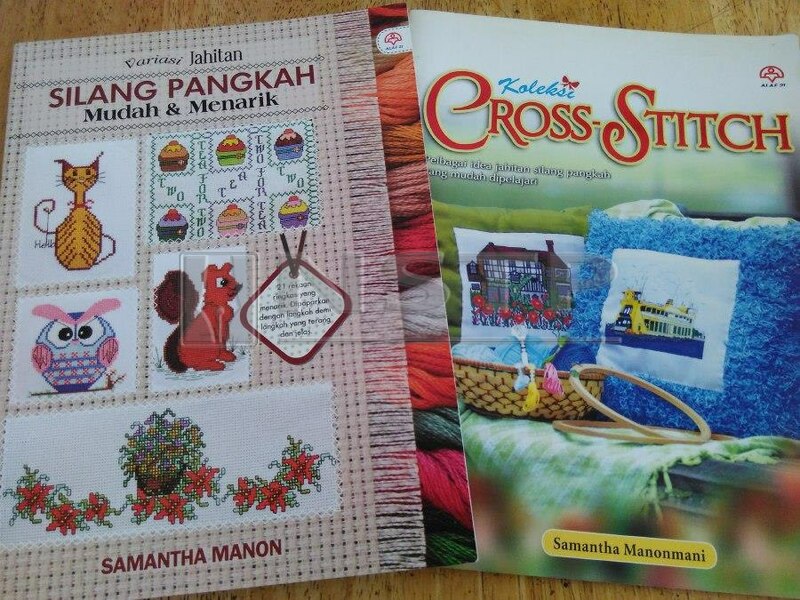 The enterprising author came up with two books on cross stitching. Usually when someone or something inspires us, we know about it. But sometimes, a person, a book, a character can get under our skin, inside our heads, even find their way into our work – without us realising. For Samantha, her memories of favourite books like the Famous Five, Secret Seven, Trixie Belden and Nancy Drew invariably found their way in influencing her writing. “It was easy to lose myself in those stories,” she recounts dreamily. Where does she get her inspiration from? I ask curiously. “From real life!” she answers with a grin. Images and experiences ranging from her hometown in Seremban right up to the places she’s seen and visited, they’ve all made an appearance in her stories in one way or the other. The idea behind the Kingdom of Flames in her first book came from watching the Olympics in Beijing in 2008. The stadium along with the Olympic torch gave birth to the idea for the Torch of Eternal Flames. The Kek Lok Si Temple in Penang became the setting for the Temple of Eternal Flames while Tasik Cini in Pahang became Periwinkle Lake. “A combination of KL Tower and Suria KLCC, which can be seen from my balcony, became Suria Tower — home of the Sun Sapphire,” reveals Samantha, adding: “After spotting a twin rainbow in the sky, I came up with ‘The Valley of the Twin Rainbow’!” Local influences, including the wau (kite), the traditional Malay kampung house and even our local kuih-muih have found their way into Samantha’s books. 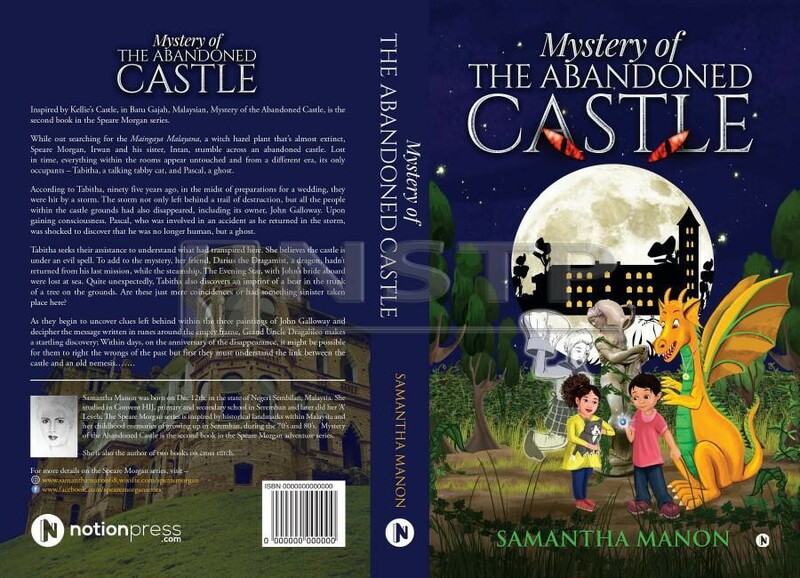 Mystery of the Abandoned Castle drew its inspiration from Kellie’s Castle in Perak. 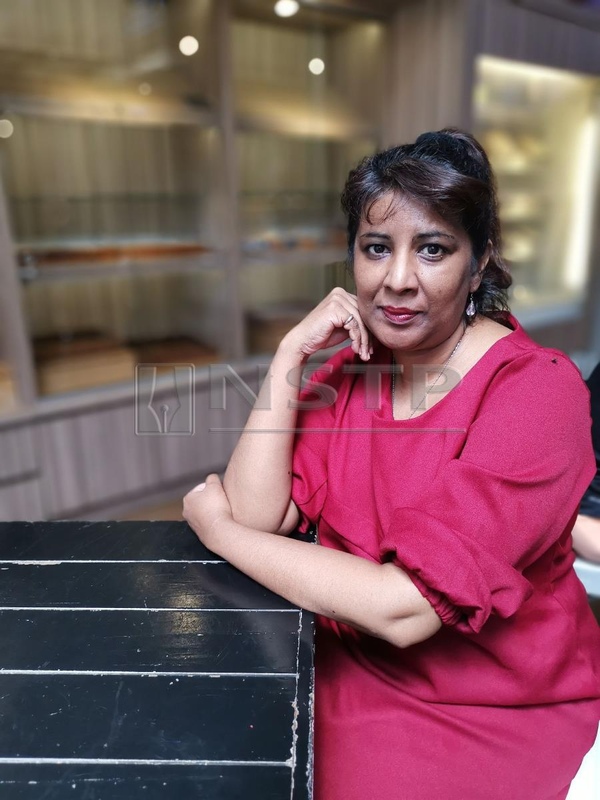 Born in Negri Sembilan, Samantha describes her childhood as “idyllic”. There’s a narrative in our culture that we find clarity when we face death. We come closer to our values and consider what’s truly important to us. For Samantha, it made her consider her priorities and she decided to take that leap into the unknown.